Innovation has something I have always fancied about. 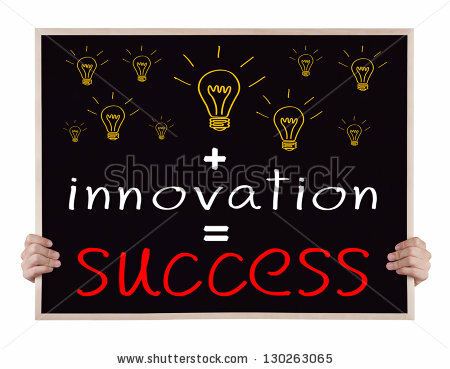 I truly believe that innovation is the best way forward to achieve success. It’s an ever evolving world and you need to innovate in order to be able to cope with the current world trend. Updates like better camera, new operating software/system, better hardware and tolerance. This is called innovation. The innovate their current technology to a better technology. And the result of that is that, these companies rack in millions in profit. There you go, innovation leads to success. Some might say that innovation is not easy; it is very difficult and challenging. Even if I come up with an innovative idea, someone is always there to shoot me down and say that this idea won’t work. Have you been in such position before? Whereby you are in a meeting and you propose a new innovative idea, and someone across the table says that it won’t work because of certain reason. They throw out your idea. Have you faced this situation before? Well these are the people we call the Devil’s Advocate. They are the type of people who would focus on all the negatives and tell you why your idea won’t work. The smart thing about the Devil’s Advocate is that they don’t reject your idea because they don’t believe it, but they will say considering from a consumer’s point of view or as a third person who will be using your innovation I don’t think it won’t work. It’s a smart way to reject your idea, because you can’t say that the Devil’s Advocate rejected your idea. He/she has planted the thought that they don’t reject your but the consumer/third party would reject your idea. So how do we beat the Devil’s Advocate? This is where the Ten Faces of Innovation comes into play. You will need this 10 faces or attributes to beat the devil’s advocate. These 10 characters carries 10 different types of attitudes and mindset you need to have to beat the Devil’s advocate. You may not have all of 10 attributes, but in a group if every one of them can play one of this roles, than you are on the right path. Sometimes you can play more than one of the roles. Just like how in life you are one person but you play the role of a son, brother, friend, and student. 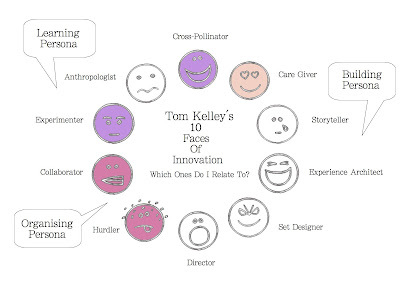 One person but 4 different roles, and it is the same thing here where you can have more than 1 of the Ten Faces of Innovation. The Cross-Pollinator- The person, who explores other industries and cultures, then translates those findings and revelations to fit the unique need of your enterprise. The Hurdler- The person who understands the path to innovation is full with challenges but builds a character to break those challenges. The Collaborator- The person who brings eclectic group together, and often leads from the middle of the pack to create new combinations and multidisciplinary solutions. The Director- The person who gathers talented people and sparks their creative talent to life. The Experience Architect- The person that designs compelling experiences that go beyond mere functionality to connect at a deeper level with customer’s latent or expressed needs. The Set Designer- The person that creates the stage on which innovation team members can do their best work, transforming physical environments into powerful tools to influence behavior and attitude. The Caregiver- The person that anticipates customer needs and is ready to look after them. They are the reason why you see situation where is service is really in demand. The Storyteller- The person that builds both internal morale and external awareness through compelling narratives that communicates a fundamental human value or reinforce a specific cultural trait. Now imagine you are in the same meeting again, you propose a new innovative idea and the Devil’s advocate rejects your idea. But this time you have people in the meeting who has The Ten Face Of Innovation and one of them steps to be The Anthropologist and says “I have seen many people who are difficult without this product, and this idea might just be the solution to their issue” or one of them steps up to be The Experimenter and says “We could prototype this idea in a week and get a better understanding to see if where are unto something good or not”. Now with having The Ten Faces of Innovation, the Devil’s Advocate may just silent up and allow you to proceed with your new innovative idea and who knows that idea might just change the world. Every great invention starts off with an idea. If you believe in your idea hard enough, one day it will turn out to be an amazing product. 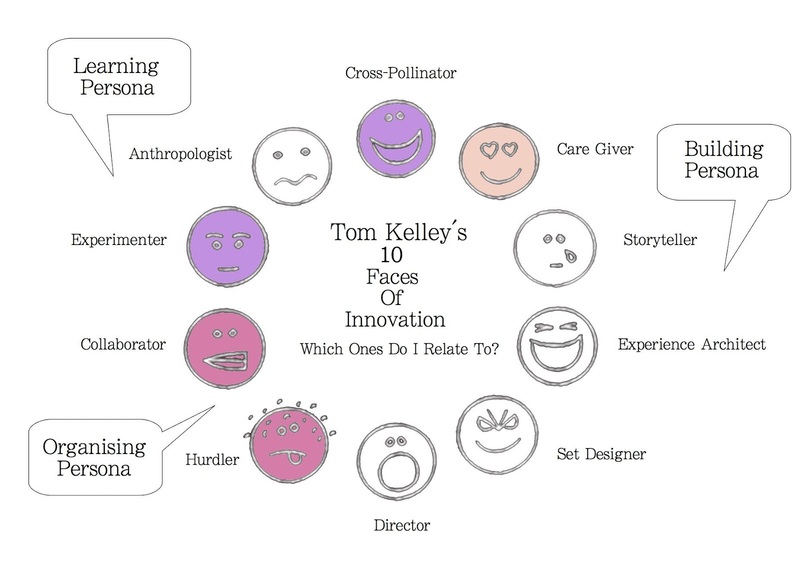 Some of the roles of The Ten Faces of Innovation may not seem practical for university students to use at classes or meetings. Nevertheless it is good to have students practicing these attributes early as it will give them a competitive edge when they start to work. Because companies today are looking to innovate from time to time and with this attitude and attributes you might just be the person they looking for.